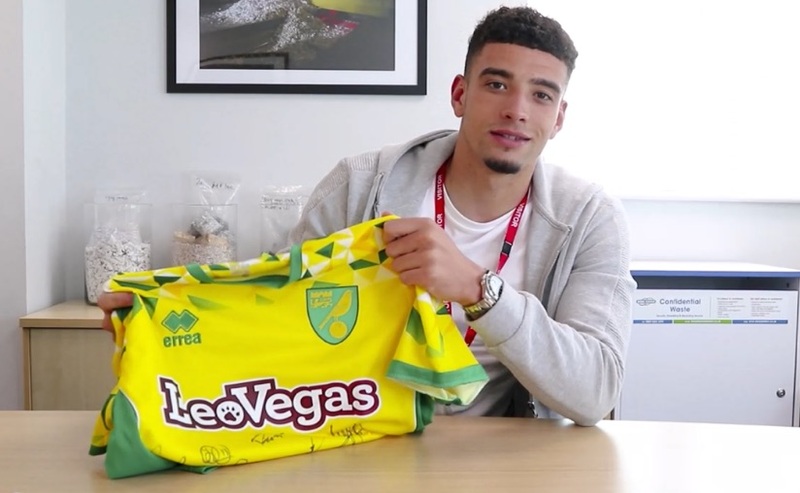 April 2019 we are running a social media competition to win a signed Norwich City shirt. The lucky winner will receive a Norwich City shirt signed by the team at Norwich City FC, and a signed postcard of midfielder Ben Godfrey. We will also be selecting ten winners at random to receive a postcard signed by Ben while he paid a visit to our shredding depot and head office in Norwich. Please find details on how to enter on Twitter or Facebook. The competition closes at midnight, Sunday 28thApril 2019, and the winner will be drawn at random on Tuesday 30thApril. Competition terms and conditions are below. Route to entry for the competition and details of how to enter are on https://www.facebook.com/shredstationltdand http://www.twitter.com/shredstationltd. Closing date for entry will be midnight on Sunday 28thApril 2019. After this date no further entries to the competition will be permitted. If taking part on Facebook or Instagram, to enter you must like the competition post, and leave a comment tagging a friend who you think would look great in the signed shirt. If taking part on Twitter, to enter you must like and retweet the post. Entries on any other platform are not affiliated with Shred Station and will not be counted. The first prize is as follows: 1x Signed Norwich City FC Shirt in size Medium plus a signed postcard of NCFC Midfielder, Ben Godfrey. The runner up prize, available to 10 winners, is as follows: 1x signed postcard of NCFC Midfielder, Ben Godfrey. The winner will be notified through their platform of competition entry on Tuesday 30thApril. If the winner cannot be contacted or does not claim the prize on the day of notification, we reserve the right to withdraw the prize from the winner and pick a replacement winner.